Souvik & I went to Goa with our friend Anshu; drove 24 hours to stay 36 hours in Goa; but it was such fun. 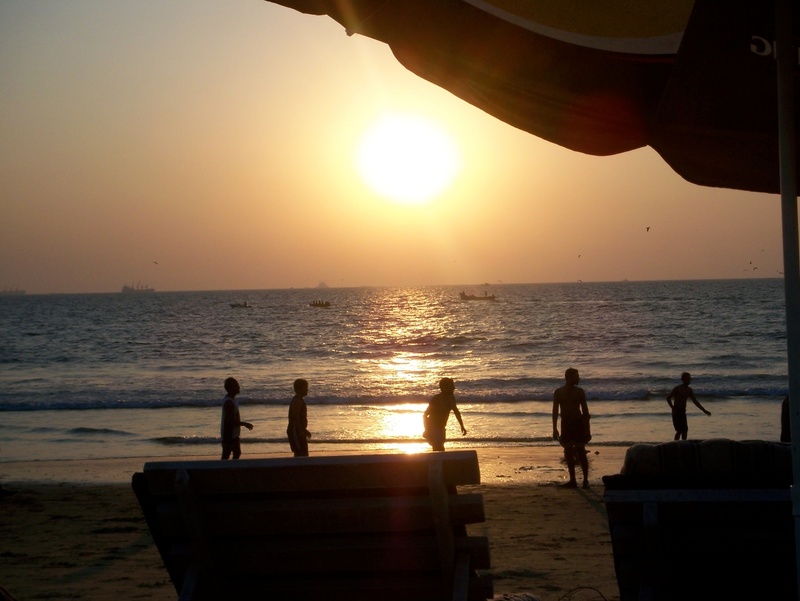 Here’s the sunset after a particularly exhilarating parasailing attempt by Anshu & me. 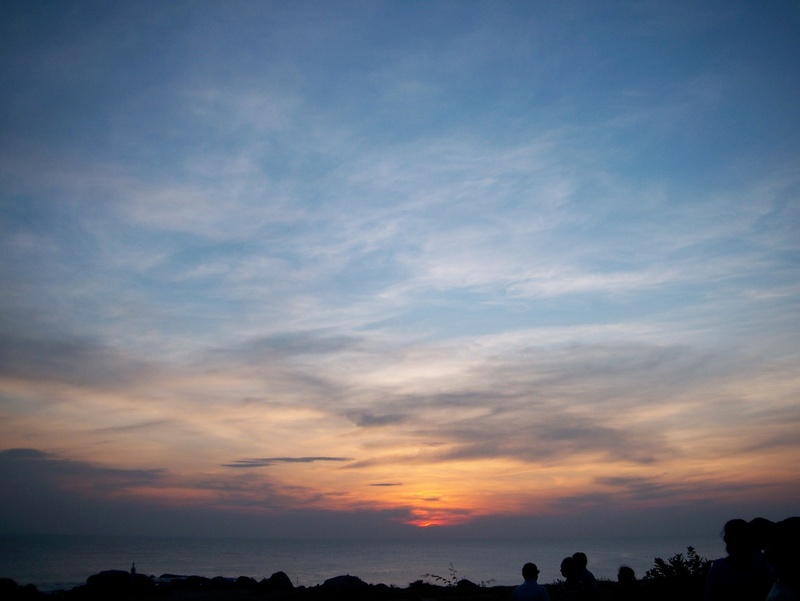 Sunset at ‘Sunset Point’, Kanyakumari, which is the sangam of the Bay of Bengal, Arabian Sea and the Indian Ocean. A rare piece of land from where you can catch the sunrise & sunset over the same water, just a few km apart. Which is about all you can do at Kanyakumari! 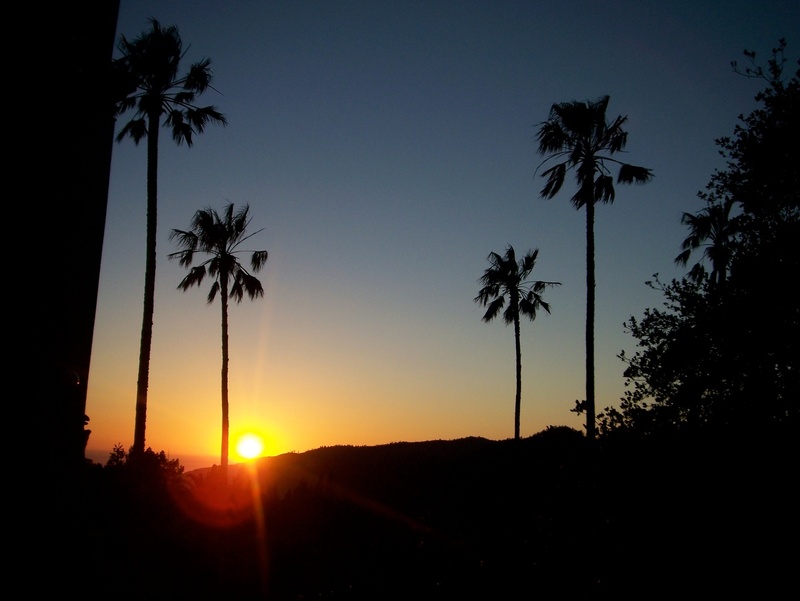 Sunset at Hearst Castle, California. After a beautiful drive along the Pacific Coast, the sunset was the icing on the cake. Gorgeous! 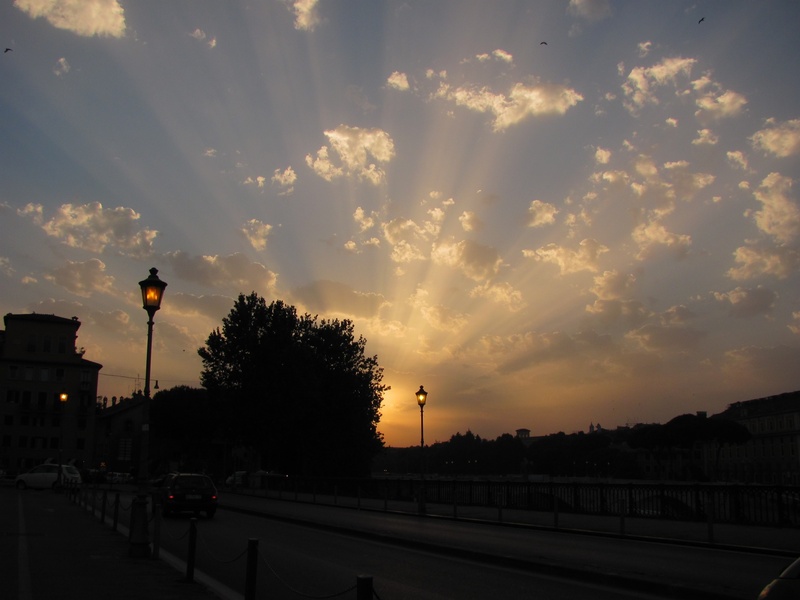 Sunset in Rome, pretty late on a summer evening. We were walking back from Bocca della Verita (the mouth of truth, remember Roman holiday? ), in search of a change from Italian food (imagine! ), and just a little gloomy about having to leave Rome the next morning. 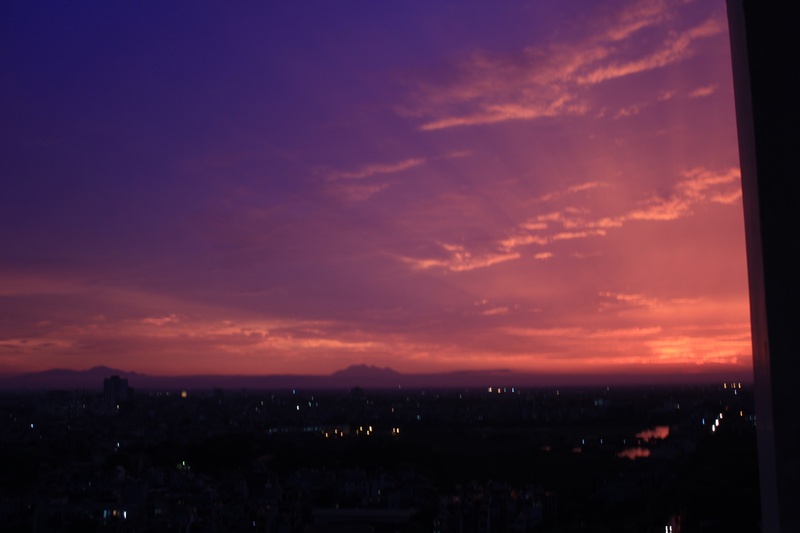 Sunset view from our apartment in Ciputra, Hanoi. A riot of colors just before a massive storm heralded by a giant dark cloud coming over from the east.